Incline Village Community Hospital is pleased to announce Dr. Michelle Kim is joining the team at Incline Health Center, 880 Alder Ave, Incline Village, on the 2nd Floor of Incline Village Community Hospital. Incline Health Center provides convenient access to high quality medical care for primary, pediatric, cardiology and internal medicine health services. Dr. Kim attended medical school at University of California, Davis, and completed her residency at the Sutter Health Family Practice Residency Program in Sacramento. She is board certified in family medicine and has extensive experience in primary and urgent care with patients of all ages. Her anticipated start date is February 1, 2018. She is accepting appointments for new patients now and most insurance is accepted. 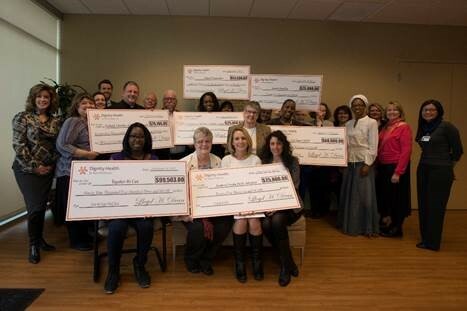 Dignity Health-St. Rose Dominican has made $364,332 in grant awards to seven nonprofit collaborations in Henderson and Las Vegas. St. Rose has awarded grants to community programs for more than 20 years. Anthony Slonim, M.D., president and CEO of Renown Health, is the chair-elect of the American Hospital Association’s (AHA) constituency section for health care systems. The 21-member council represents AHA’s 250 health system members by participating in AHA’s advocacy, policy and resource development, with a particular focus on strategic opportunities from a health system’s perspective. He and will assume the role of chair in 2019. Carole Fisher, president and CEO of Nathan Adelson Hospice, announced that the hospice has hired Occupational Therapist Karmella Bognot in an effort to continue providing the utmost quality care in its hospice program for patients. This marks the first time in Southern Nevada that a hospice is offering the full-time services of an occupational therapist. Additionally, Nathan Adelson Hospice is one of the very few in the nation that now has a person on staff in this role. Occupational therapy plays an important part in hospice care by helping to identify life roles and activities that are most meaningful to patients. In her role, Bognot will determine current potential abilities for patients in their specific occupations. She will then assist and set goals for patients to follow when they engage in activities of daily living, interests, rest and sleep, leisure, and social participation. 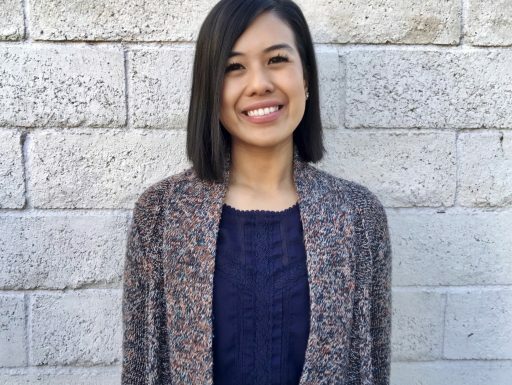 Bognot studied kinesiological sciences at the University of Nevada, Las Vegas before graduating from the occupational therapy program at Touro University in Henderson. She is a certified leader for Stepping On, a fall prevention program proven to reduce fall risk in older adults. She completed full rotations at Healthsouth Rehabilitation Hospital of Las Vegas and M.D. Anderson Cancer Hospital in Houston, TX. She has also volunteered at a camp for children diagnosed with Muscular Dystrophy. Henderson Hospital is the first in Nevada to use the LOCalizer, a breast lesion localization system approved by the U.S. Food and Drug Administration (FDA) in spring 2017. The LOCalizer uses a small, non-radioactive radiofrequency identification (RFID) tag system to identify the exact location of a lesion (or lump) before breast surgery. It does not use wires or radioactive seeds. Instead, after the breast area is numbed, the tag is implanted via a needle and guided to the lesion while using ultrasound or X-ray imaging for placement. The procedure can be performed up to 30 days before breast surgery, and isn’t felt by the patient after placement. During surgery, the physician uses the LOCalizer reader and sterile probe to confirm the placement and ID of the tag, and uses this information to chart the surgical path to remove the lesion. Because the reader displays the distance and location of the tag, the surgeon can more efficiently locate and remove the lesion, along with the tag. This reduces the patient’s time spent in the operating room while limiting the cosmetic impact to the breast. MountainView Hospital announced that it has earned The Joint Commission’s Gold Seal of Approval® for Chest Pain Certification. The Gold Seal of Approval® is a symbol of quality that reflects an organization’s commitment to providing safe and effective patient care. MountainView Hospital is the first and only hospital in Nevada with this certification from The Joint Commission. MountainView Hospital recently underwent a rigorous on-site review to earn this certification. Joint Commission experts evaluated compliance with national disease-specific care standards as well as with chest pain-specific requirements. Clinical practice guidelines and performance measures also were assessed. 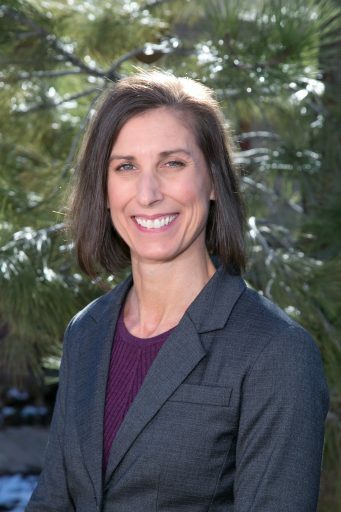 Fifteen months after launching the state’s landmark Healthy Nevada Project, Renown Institute for Health Innovation (Renown IHI) is taking steps toward significantly expanding public enrollment in its community-based population health study. Executives and research team members announced they have partnered with personal genomics company, Helix for the next phase of the study expected to open enrollment this spring. Utilizing Helix’s proprietary Next Generation Sequencing (NGS) technology and uniquely personalized suite of DNA-powered products, research teams at Renown Health and the Desert Research Institute (DRI) plan to offer an additional 40,000 Nevadans the opportunity to have their DNA sequenced and participate in phase two of the study. The Healthy Nevada Project will offer study participants a DNA kit from Helix that provides information on personal traits or ancestry, and a Helix.com account which will enable them to explore additional DNA-powered products through the Helix App store if they choose. In September 2016, the pilot phase of the study enrolled 10,000 participants in less than 48 hours and completed DNA sample collection in just 60 working days. Participants ranged from 18-90 years old from 135 zip codes in northern Nevada. Socioeconomic survey information was also collected using an advanced, confidential online survey tool. Research teams are currently working on the first peer-reviewed scientific results from the study after gaining valuable community and population health insights from the data. Northern Nevada’s healthcare catchment spans 100,000 square miles and serves almost 1 million people. The diverse population, generational healthcare data and innovative combination of leading-edge research tools and detailed environmental databases make the region an ideal location for advanced health science. “Our pilot phase used genotyping, which was a great start, but moving to NGS sequencing and inviting an additional 40,000 people to participate will dramatically accelerate what we can learn about the human genome and has the potential to greatly improve preventative health,” said Joseph Grzymski, Ph.D., an associate research professor at DRI, co-director of Renown IHI, and principal investigator of the Healthy Nevada Project. Community members are encouraged to stay tuned to HealthyNV.org as Renown IHI finalizes the details of phase two enrollment of the Healthy Nevada Project. Enrollment is expected to open this spring.